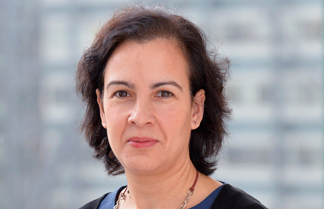 Isabel Blanco is the Lead Economist dealing with Green Economy Transition issues in the Sector Economics and Policy Group. Isabel has got 20 years of experience in sustainable energy and climate change, with a focus on policy dialogue and regulatory analysis. She has led the design of the Transition Impact assessment methodology for green projects and the methodology to conduct an economic assessment for use in EBRD projects with high greenhouse gas emissions, using shadow carbon prices. Isabel leads a number of strategic initiatives like "Green Just Transition" and the "Fiscal Impact of Climate Policies for Fossil Fuel Rich Countries". Prior to joining the EBRD, she managed the department of regulation at a large international renewable energy company and taught macroeconomics and development economics for 14 years at the Spanish University of Alcala (Madrid). Isabel holds a Ph.D. in Energy Economics by the University of Alcala (Madrid, Spain) and a BA in Environmental Economics by the University of Leeds (UK).